Anyone who believes in this “new dawn” vote-catching phrase is living in a fool’s paradise. By VIVI MPIKASHE. We South Africans can really celebrate, and when we do we tend to forget where we come from and where we are headed. The “send me” momentum has gripped the nation. The removal of former president Jacob Zuma, the longest political nightmare our nascent democracy has had to bear with, is surely the cause of this euphoria. The economic mayhem he has wrought will be with us for a very long while. How we got into this political betrayal is crucial if we are to navigate the way forward. This process is well documented but suffice is to say the governing party is simply hollowed by marauding corruption. That Zuma’s survival of numerous calls to step down within the party and outside proves that the leadership structures are institutionalised in the corruption criminal web. The problem is the ANC and Zuma was simply a cog in the machine. To be sure, one needs to look at the unfolding political developments since the so-called “new dawn”. 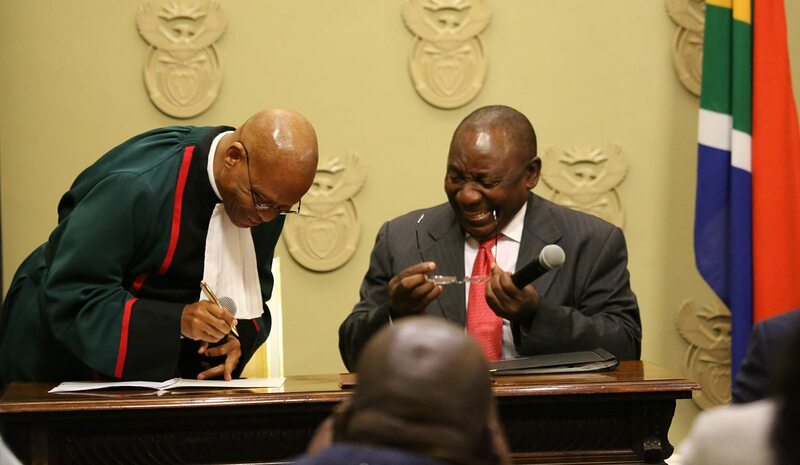 Cyril Ramaphosa’s new dawn, as the Cabinet reshuffle reflects, is compromised, accommodating notorious brazen thieves and serial incompetents alike. Rather than taking the interests of the country into consideration, he has capitulated to his party dynamics of unity at all costs. Anyone who believes in this “new dawn” vote catching phrase is living in a fool’s paradise. Our badly battered economic and political state needs a non-corrupt revolutionary political party that must pull the country back to its constitutional democratic path. Those of us who have made it our mission to reclaim this beautiful country from the grip of corruption must remain unfazed by these so-called “new dawn” half measures. This country needs a new governing party. Period. The political dominance of the ANC in the face of the weakness of the opposition is one crucial reason that the political hyenas, almost unimpeded, raid state resources. In spite of the encouraging opposition of parties co-operating in the last local government elections, more fissures within and among the political parties themselves have never been greater. The DA, hitherto the most tenacious and relentless of all, is torn apart by Patricia De Lille’s debacle, while the EFF is spitting mad over the land expropriation without compensation issue and is set to unseat Nelson Mandela Bay mayor Athol Trollip. The much vaunted political coalition of 2019 is aborted even at its conception. As the 0fficial opposition party, the DA has a few lessons to learn. They must campaign aggressively so that they increase their voting strength. While co-operation and even coalitions form part and parcel of politics it is always more preferable to do so on the symbiosis of policies rather than a mere marriage of political convenience. Unity between a democratic party and a populist quasi-military party is bound to be disastrous. Black voters must claim their freedom to vote for any party of their choice – a party that has consistently and tenaciously defended the rainbow nation and constitutional democracy. Vivi Mpikashe is a teacher and a lecturer and founder-director of Velile Education and Development Solutions (VED) which operates in the Buffalo region.